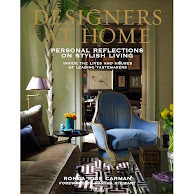 "Thank you Atlanta Homes & Lifestyles . 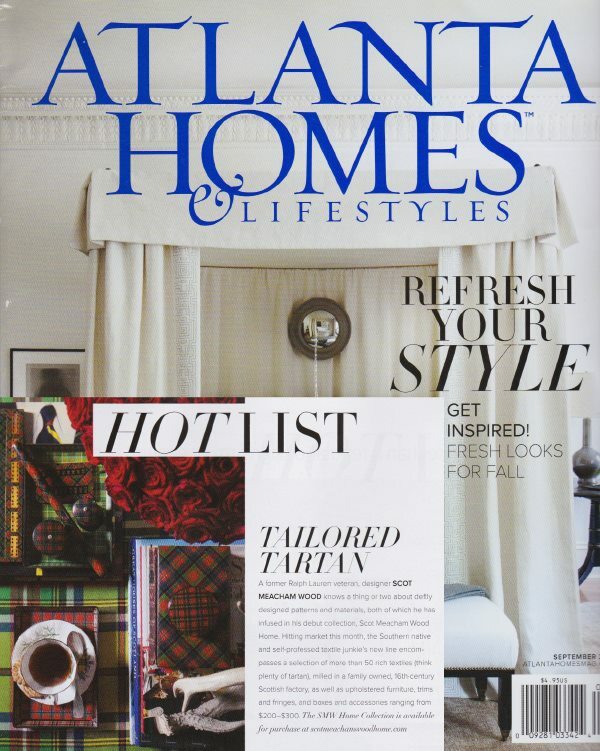 . . "
A bog "thank you" to Atlanta Homes & Lifestyles for including SMW Home in their Fall issue highlighting our selection of antique Victorian tartanware boxes and accessories. If you're a tartanware collector like I am - browse our collection! We'll have more pieces available for holiday soon! "Let's Toast to the Weekend . . . "
Sometimes we all could use a drink. Or two. 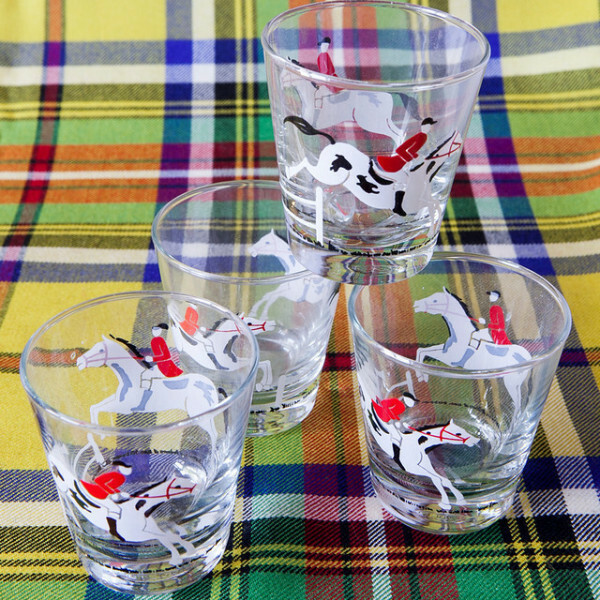 Or a set of four - Tally-Ho Cocktail Glasses. from Scot Meacham Wood Home. "Inspiration Point - Alexa Hampton . 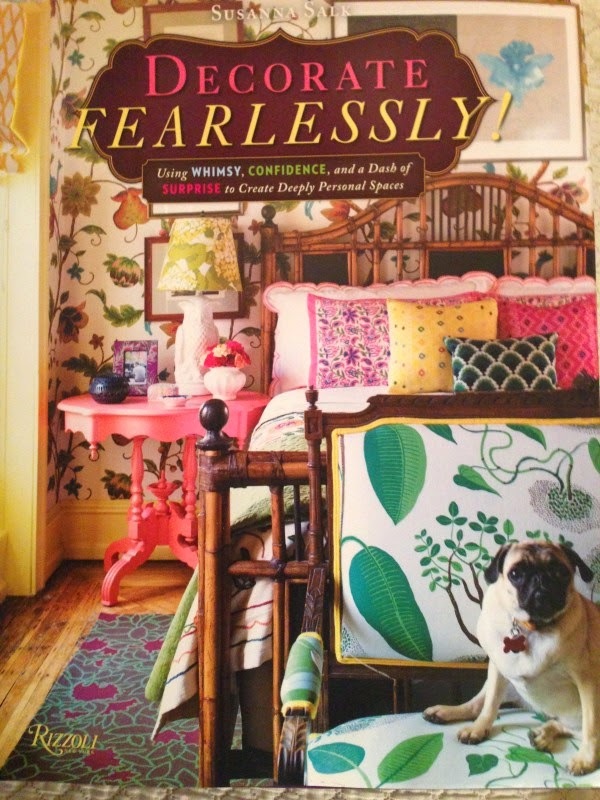 . . "
One can rarely speak about inspiring design without a serious nod to the work of Alexa Hampton. 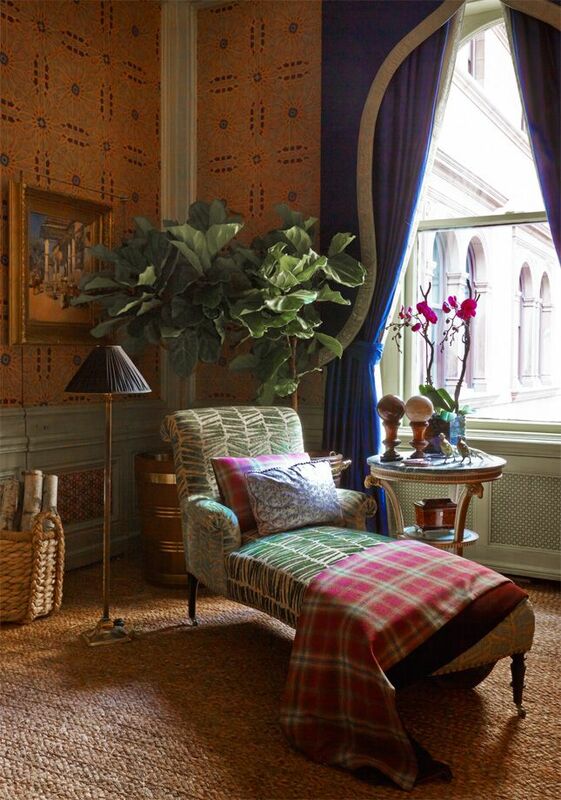 This is a tiny corner from Alexa's space at Kips Bay Decorator Show House a few years back - but, it never fails to delight me. "Inspiration Point - RBP . . . "
I've been doing a bit of work on my own home lately . . . a whenever I decide to up-end my own apple cart - I like to reach back and touch base on images and things that have always inspired me. Which is the long way of saying . . . sweet lordy y'all . . . 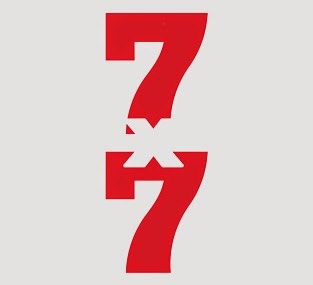 I have always loved the work of Roger Banks-Pye. I have the original magazine that these images were published in . . . and they never cease to delight me. 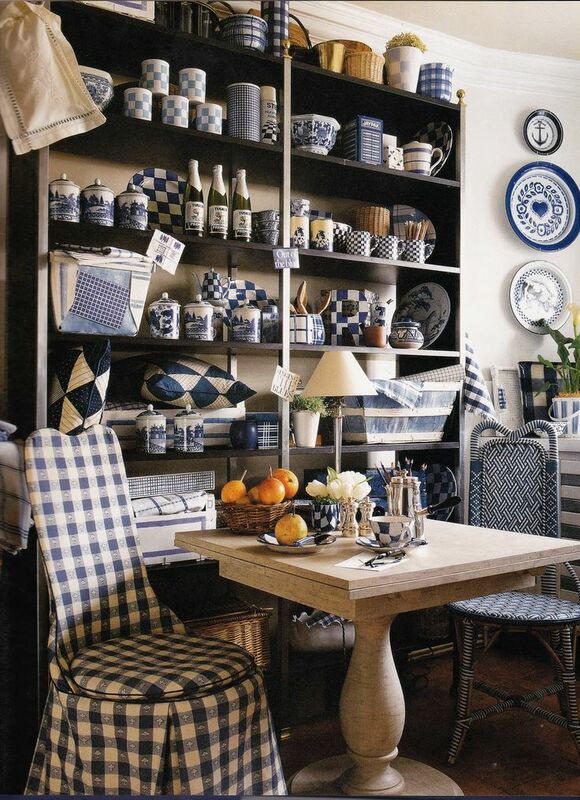 I'm seeing some serious navy gingham in my very near future. "Thank you San Francisco Cottages & Gardens . 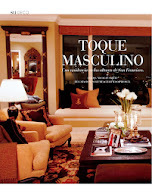 . . "
I can't begin to thank everyone for their support during the launch of Scot Meacham Wood Home. It seems like I've been toiling away at this for so long . . . and I'm so excited to FINALLY be able to share everything with y'all. 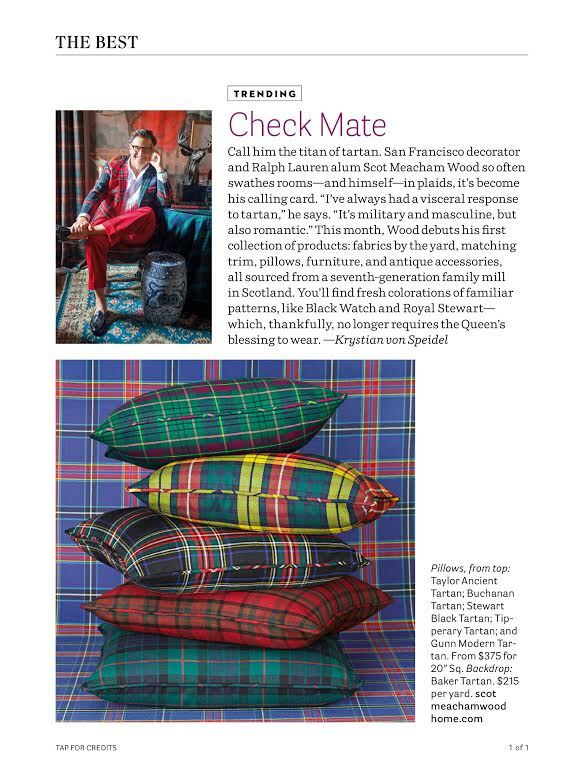 A special thank you to editor Alisa Carroll and San Francisco Cottages & Gardens for this lovely mention of our textile collection. 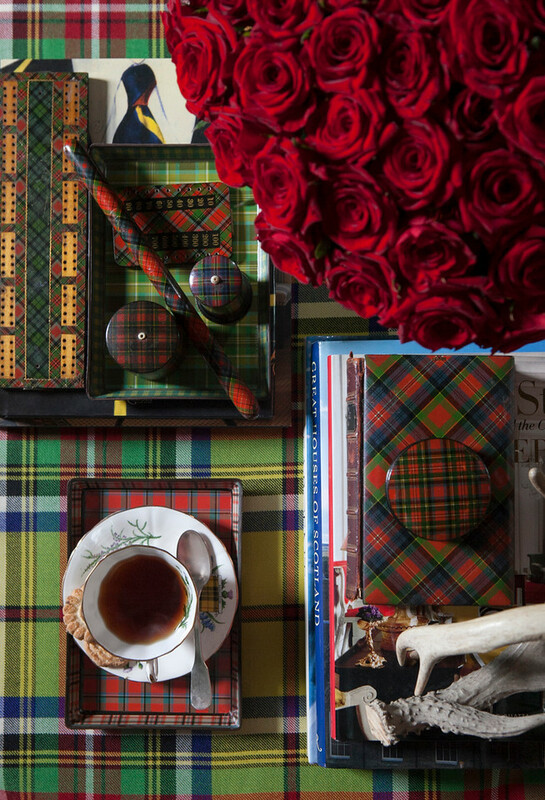 As I have often (well occasionally) said, "One does not live by tartan alone!" 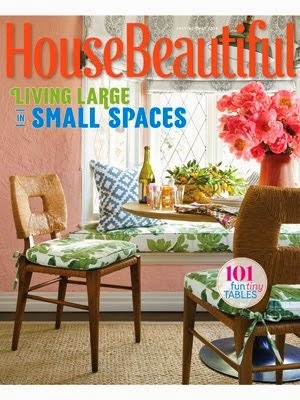 So I'm especially delighted to see our Mary Ann Damask highlighted in the September issue. 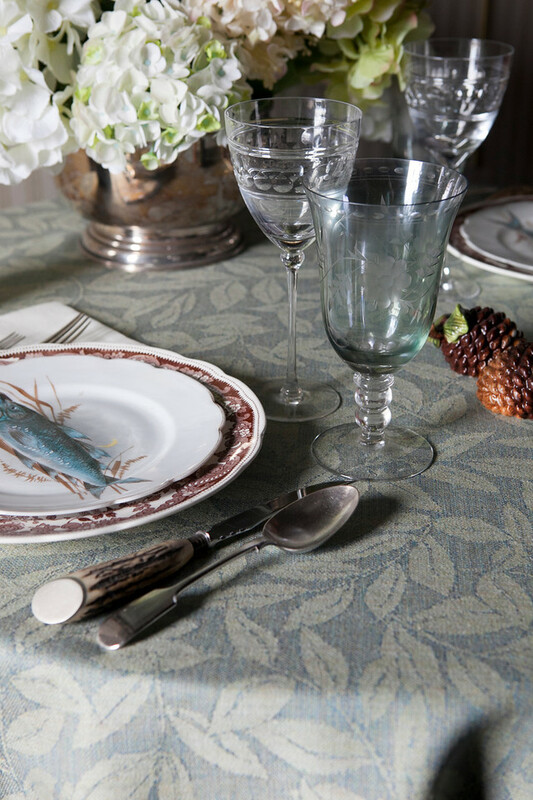 The 100% wool damask features a winding leaf pattern - and is also reversible. It's also quite dear to me as it is named after my mom - and her love of gardening. 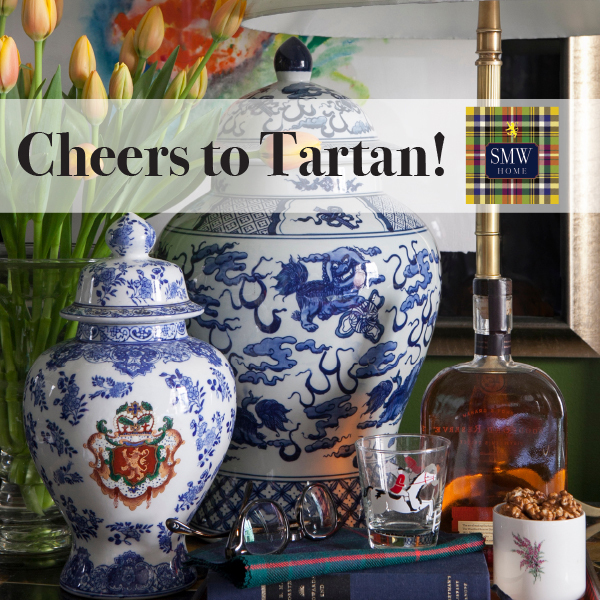 If you haven't had a moment - stop by Scot Meacham Wood Home and have a look at our excited collection! 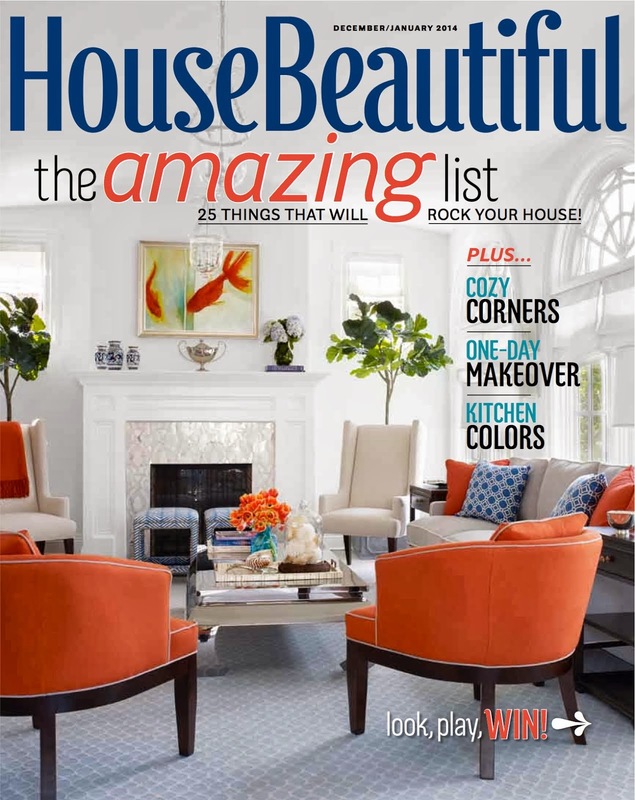 "Thank you House Beautiful . . . "
Stewart Black tartan, Tipperary tartan, Gunn Modern tartan. 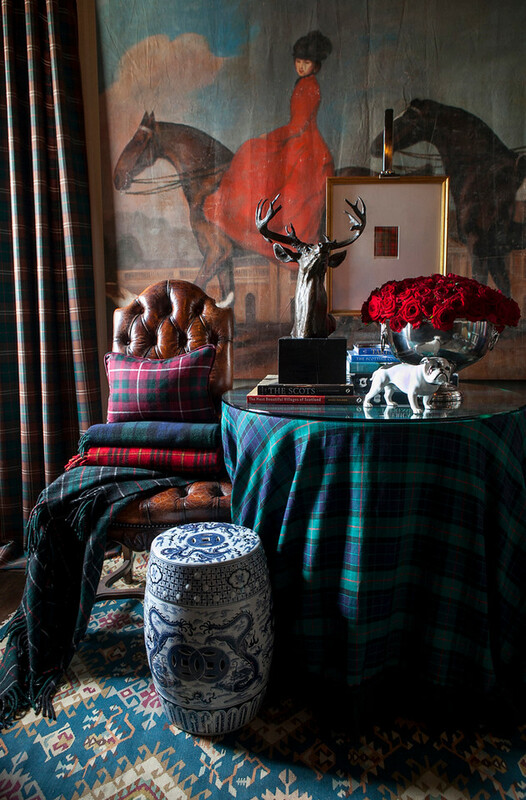 I can't begin to express how grateful I am to Sophie Donelson and the entire team at House Beautiful for this marvelous preview of our new collection at Scot Meacham Wood Home. If you want a closer look at our collection of decorative pillow . . . swing by and take a look. "Scot Meacham Wood Home . . . "
Today is an incredibly exciting day around here. After years (and I do mean years!) of plotting and planning . . . 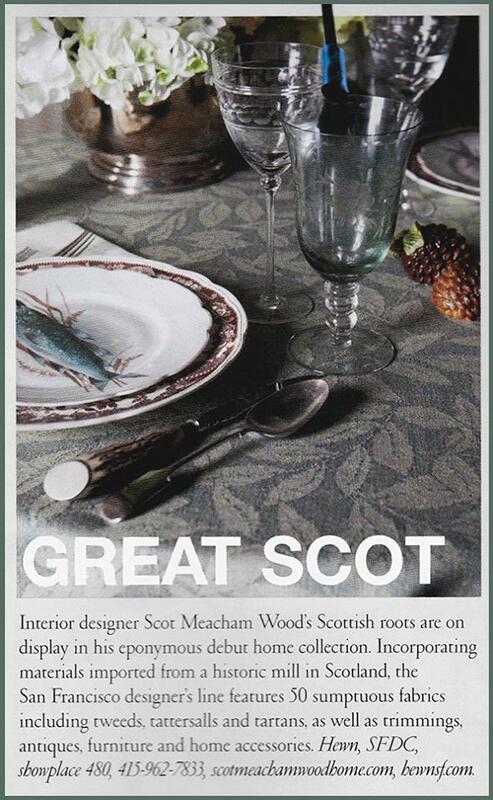 I'm delighted to announce that Scot Meacham Wood Home is ready for business. A selection of our over 50 textiles. 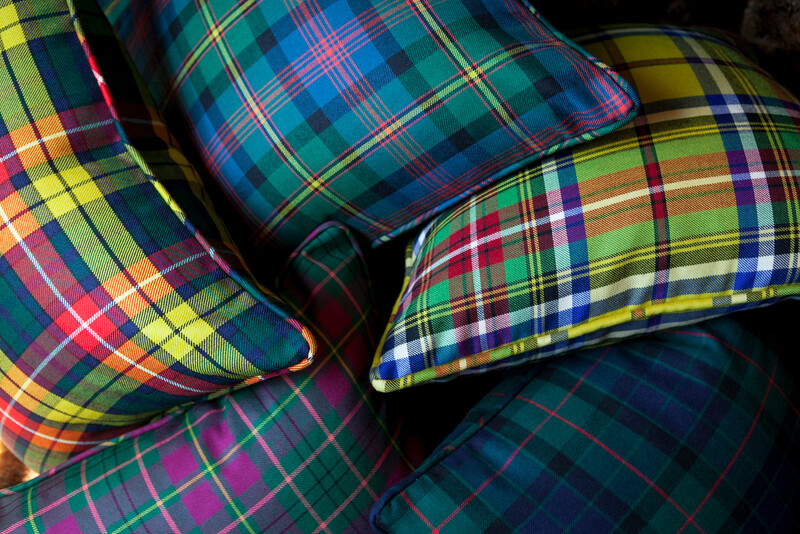 A wee gathering of our selection of decorative pillows! All made from 100% wool textiles. 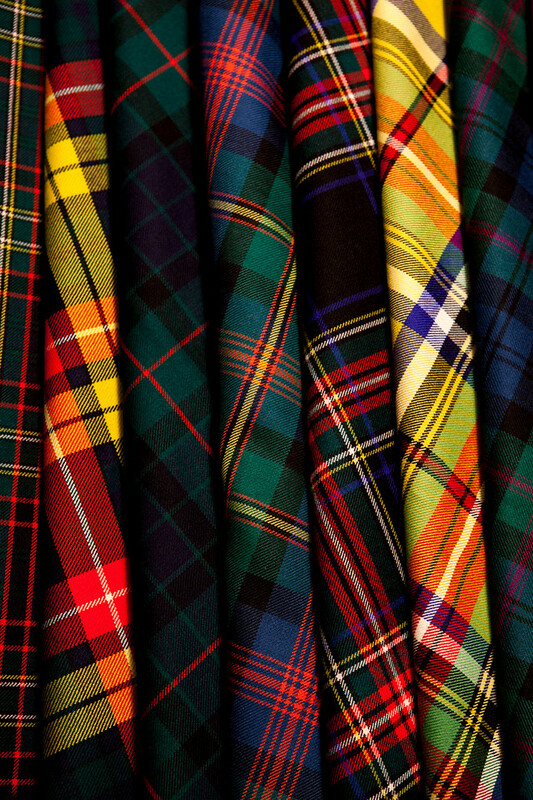 But, clearly - one does not live by the tartan alone. after my dear mother and her love of indoor gardening. 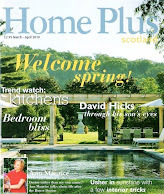 If you have a moment - stop by and take a look - maybe make a quick cup of tea first . . .